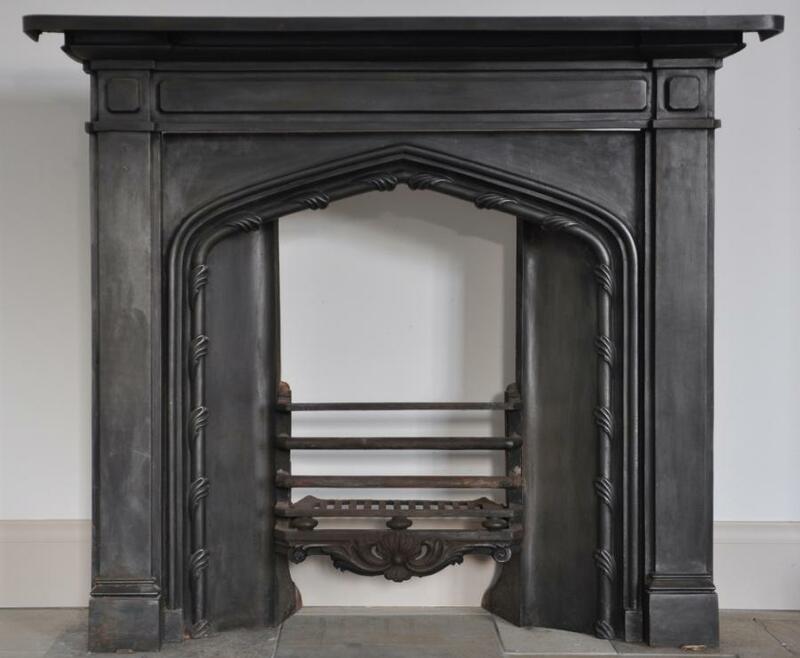 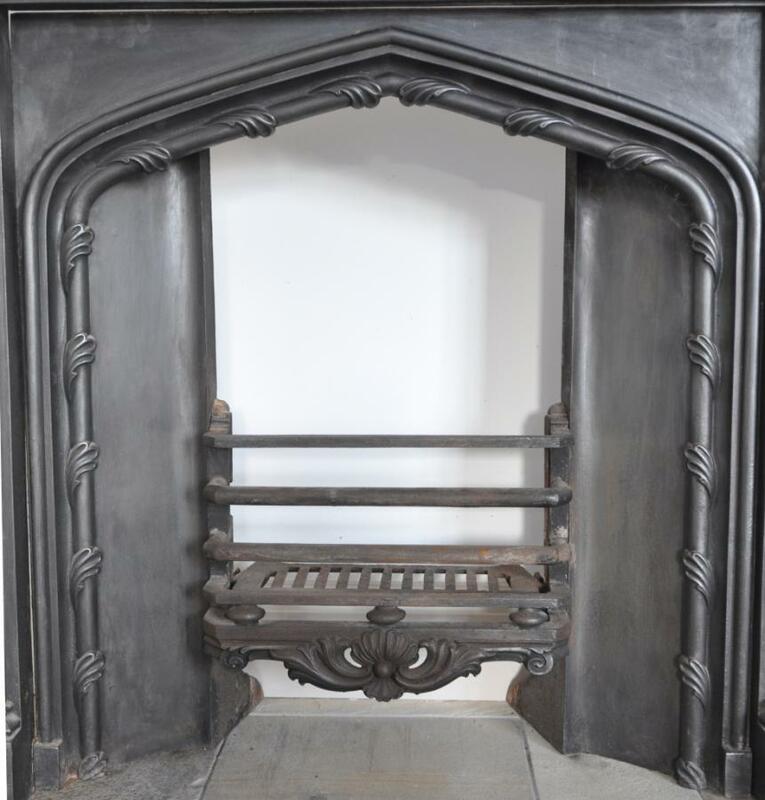 An 1837/38 antique cast iron fire surround with it's original gothic arched insert. 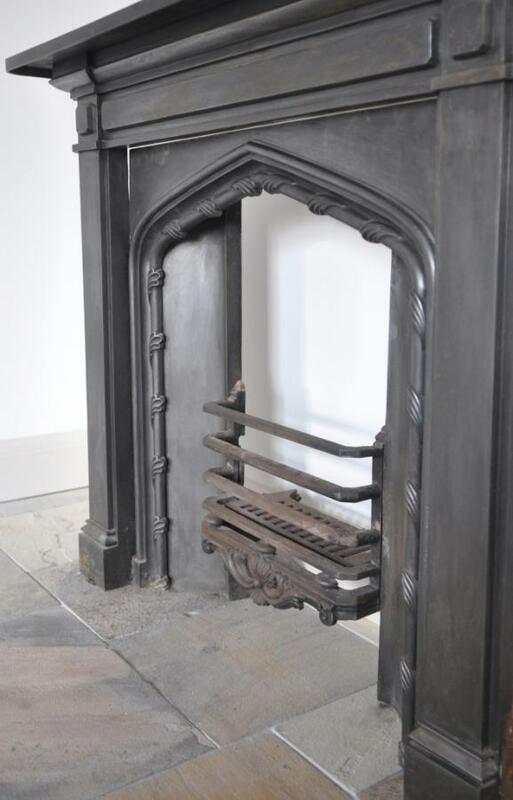 From a large house in Coalbrookdale of the same age so cis likely from the Coalbrookdale foundry. 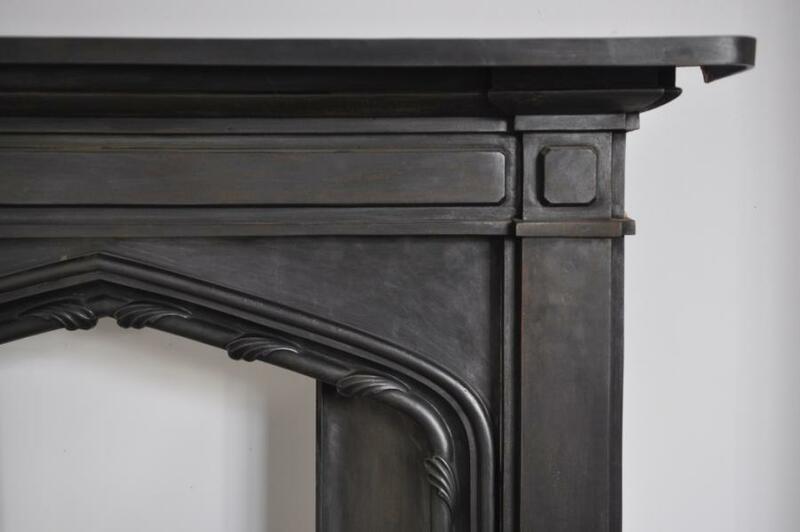 Dimensions in inches/cms; shelf is 51.25/130 by 7/18 deep by 7/8 /23 high opening is 34/86.5 wide by 36.25/92 high.